Looking to learn how to add an account on Instagram? 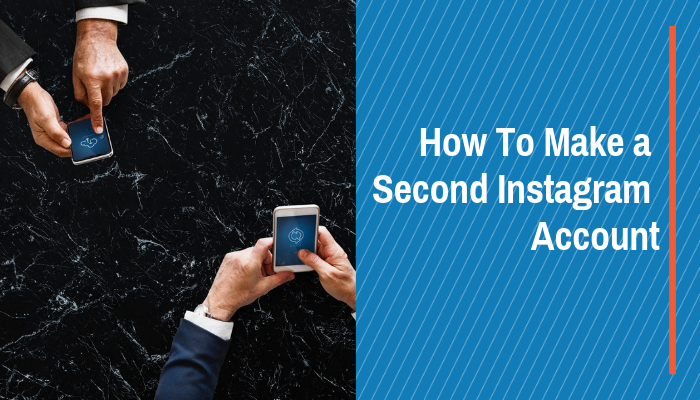 If you already have an Instagram account, creating a second one is easy. Instagram allows users to have 5 accounts on the same device, and you can switch between accounts without logging in and out each time. The same email or phone number cannot be attached to more than one account, however. 1 Why Have Two Instagram Accounts? Why Have Two Instagram Accounts? You may be wondering why someone would need a second Instagram account. Many people on Instagram have personal accounts where they share pictures of their daily lives with friends and family online. Most businesses also have Instagram accounts, however, and many Instagram users create second accounts for their businesses. A second Instagram account can have many purposes. One simple reason to make a second account is if you get locked out of an original account, or if you lose the account for some other reason. A second account may just be a fresh start. Many users have a second account called a finstagram, or finsta for short. These are funny, casual accounts where people share pictures that weren’t worthy of their real Instagram. Instagram influencers and bloggers often have second accounts, one personal, one based on their business or blog topic. Instagram blogs tend to be very focused on their niche industries, be it fitness bloggers, beauty bloggers, or other specific industries. For this reason, these bloggers often have a second account for their general or personal posts. Regardless of why you need a second Instagram account, we’ll walk you through the process of creating your new account. Instagram reports that over 25 million businesses have an Instagram account for their brand. Business accounts on Instagram get extra features, called Instagram Insights, that reveal data about each post’s impressions, reach, and your account’s audience. If your second account is for your business, convert to a business profile. You can do so by going to Settings > Account Settings > Switch to Business Profile. Use Instagram to grow your business through social media marketing, or create Instagram ads to use this popular platform to as a lucrative advertising tool. To add a new account on Instagram, you’ll need to use a different email address or phone number from your first account. This is a minor inconvenience, but not too hard to work around. If you used your email for your first account, you could simply use your phone number for the second. If not, you may need to create a new email account for your new Instagram account. Go to your current Instagram profile. At the top right corner, tap the three horizontal lines menu icon. If the account already exists, enter the username and password. To create a new account, click “Sign Up” at the bottom of the screen and follow the prompts to make a new account by phone or email. From here, you can create a username, add a profile picture and bio and begin sharing on your new account. Once you have two (or more) Instagram accounts, you’ll need to be able to switch between them. Luckily, Instagram makes this process easy; you won’t have to log out and log back in every time you want to check out your other account. Instagram allows five accounts to be linked on one device. Once you’ve created a new account on your device, you should be automatically logged into both. At the top of the screen, click your username. A menu will pop up with each of your accounts. Click the one you want to switch to and you’ll be brought to that profile. You can also switch accounts from any tab on Instagram by holding down the profile picture icon in the bottom right corner. The same menu will pop up for you to choose from. Once you’ve created a second account on the same phone as your first account, the two are linked on your phone. This makes it easy to switch back and forth. While your accounts are linked via the app you logged into both on, they are not tied together publicly on Instagram. If you want to create a connection between these two accounts, you’ll have to promote each account on the other. One way to do this is to tag the opposite account in your bio to send followers from one account to the other. You can also tag your new account in posts and stories to establish a connection and hopefully help followers reach your second account. With two accounts, you’ll receive notifications for both. You can change your settings to turn off push notifications for one or both accounts if you wish. If not, your notifications will appear preceded by the account they relate to in brackets: [iamsocialbuddy] Erin liked your post.